New for 2019 Bel will be providing 3d visualizations for projects where applicable. Project follow up - to ensure successful establishment of plants and schemes, appointments can be booked throughout the year to monitor progress. With a wealth of experience Bel works with clients and their gardeners advising on garden maintenance tasks, plant pruning and garden development. Quarterly consultations with written maintenance schedules enable the owners to effectively nurture and control their garden. Get in touch with Bel to discuss your garden advice requirements. Bel offers a range of talks to gardening and U3A groups throughout the year. Get in touch with Bel to book a date for her to visit your group. Bel appears regularly as a guest lecturer at Nottingham Trent University sharing her horticultural insight and enthusiasm with Garden Design and Horticulture degree students. "Bel has recently redesigned a large area in my garden which was previously a 'wilderness'. I was very pleased with the design that she came up with - it was clear that she had paid attention to what I had said I wanted and understood my style. Great communication throughout the process and now that the planting is finished I am looking forward to next spring and watching it develop." 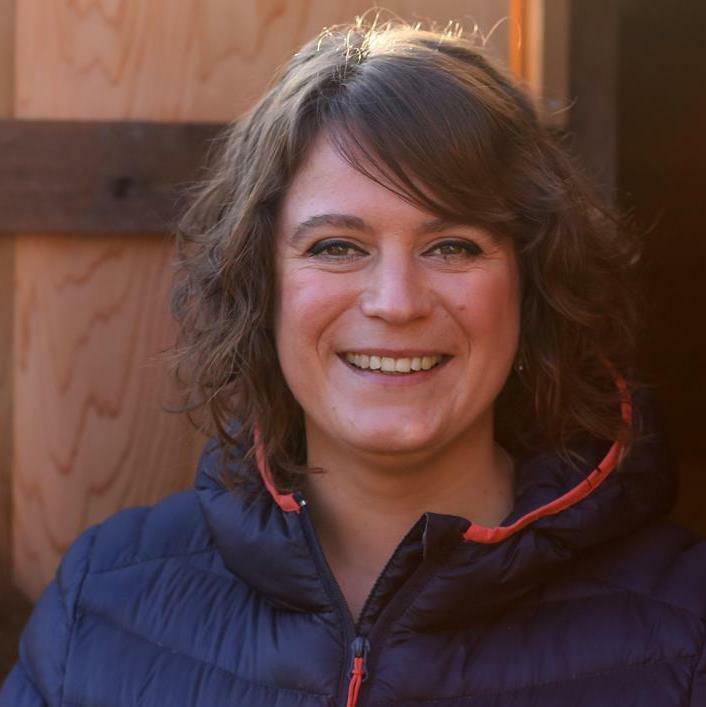 "If you are looking for advice on your garden or a new designs then look no further than Bel Grierson. We have used her on several aspects of our garden to lower the maintenance and update the planting with spectacular results. Bel is easy to work with and is totally in tune with all our requirements." "Bel has delivered a delightful garden with a design that has transformed a shallow plot surrounded by fences, into a garden full of interest. Bel listened carefully to our concerns and gave her total attention to each step of the way." "Bel provided good advice and warm, friendly and professional support at all stages of our garden transformation. Her knowledge about plants and her design ideas gave us confidence from the outset. We are delighted with the result, and now look forward to enjoying our new garden in the months and years to come." "Thanks again for everything you've done. We love our new garden and are so excited to see it grow and develop over the coming months and years." "Bel delivered professional advice in a friendly way after she had established what her clients wished to achieve. All in all - it has been a pleasure to work with her"
"Bel redesigned and planted our garden this summer. It has transformed it from dark and dingy to a fresh open space. Bel is a pleasure to work with, friendly and helpful, full of ideas and always ready to listen to what you want and find the best way of delivering it. Recommended!" "Bel is brilliant. Easy to work with. Lots of ideas and plans but great at listening and quickly tapping into what you like, want and need. She has bags of style with a healthy dose of practicality and is 100% reliable. Totally recommend." "Our 20 year old garden was looking tired and boring. No colour and a mishmash of plants that were past their sell-by date. We had no idea what to do to rescue the situation as we knew very little about what plants would do well. Then we found Bel. Our garden is transformed; beautiful colour that just keeps coming all through the year, easy maintenance and a joy to sit and look at with an appropriate glass in one hand. Bel interpreted our thoughts perfectly and has produced an extraordinary result. She is patient with non-gardeners, knowledgeable and highly professional. Not afraid to get her hands dirty and endlessly helpful. I simply cannot recommend her too highly." "Having reorganised our front and rear garden layout we needed specialist assistance in guiding us with a start-from-scratch planting plan. Having visited the property and carried out a detailed survey including discussions on our requirements and preferences Bel provided us with a very professional detailed plan of action, a list of recommended plants including photographs and an associated 'map' , and a care and maintenance programme. Bel organised the supply of all plants and materials which arrived as planned on the day of planting. She completed the job on time and very much to our satisfaction. An excellent all round professionally executed job. Thank you Bel!" "Bel we are so pleased with your work. You were very professional and friendly, listened to what we had in mind and came up with a plan which has been carried out very efficiently and now that spring is round the corner I can see the stirrings of some plant activity in the garden and I can’t wait to see how it will look, in fact I am getting rather excited!." "I'm so pleased with the way the garden looks now, you've introduced lots of colour to an area that has been so drab. I'm looking forward to seeing the garden develop over the next few years." "Bel is always a pleasure to work with she is very enthusiastic and knowledgeable about garden design and plants. 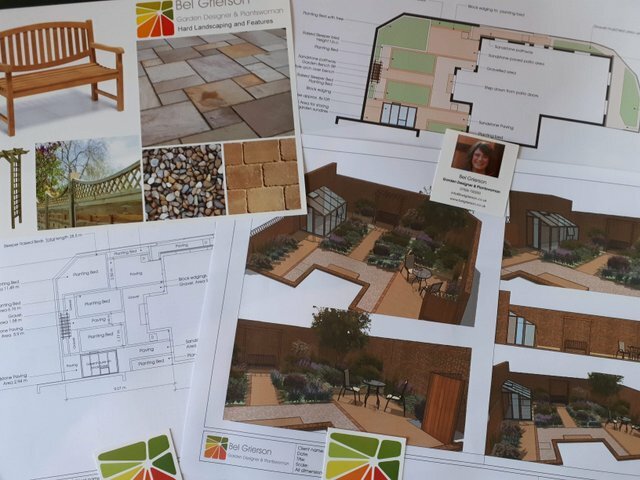 We love the work that Bel did to provide us with exactly what we wanted.We will certainly be engaging her services to help us plan the next stage of our garden project." We absolutely LOVE what you have done for us. My friend came around yesterday and was been raving about the garden! Thank you. All work Copyright Bel Grierson.